With a convenient magnetic mount, this compact, pocket-sized antenna travels with you from car to car, providing improved reception. Attach the Portable Auxiliary Antenna to the Satellite Series (TM) Telephone using the Antenna Adapter, or to the Portable Dock. Ceramic patch antenna offers reliable coverage in a magnetic mount package. Must have large metallic surface to mount antenna (40 inches square). NEW: This Maxtena M1621HCT-EXT is now included with most Iridium Extreme and Iridium 9555 satellite kits and replaces flat style Iridium auxiliary antenna SYN7391A. 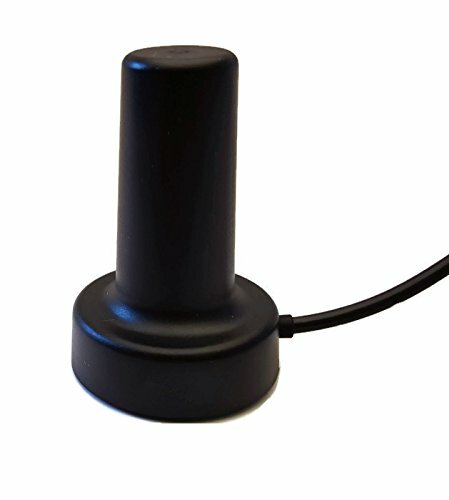 VERSITILE: The very small size and light weight make this helical Iridium antenna unique in the market and perfect for various commercial and industrial applications. This antenna is the ideal solution for the most extreme and demanding applications where reliable satellite reception and high accuracy are required. It can be used to boost the performance of the Iridium handsets among other uses. COMPATIBILITY: Works with Iridium satellite phones using the external antenna adapter. Iridium Extreme, Iridium 9555, Iridium 9505A, Iridium 9505 & Iridium GO! If you have any questions about this product by BlueCosmo, contact us by completing and submitting the form below. If you are looking for a specif part number, please include it with your message.